'Indio' Full Trailer Starring Ramon Bong Revilla Jr.
Ramon Bong Revilla Jr. will star in his very first TV series. 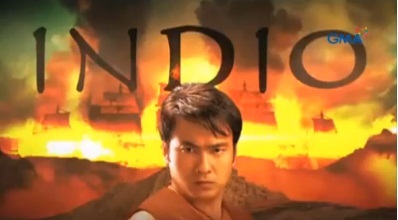 This is via "Indio," the second epic-serye of the Kapuso network after "Amaya." "Indio" revolves around a historic story on the early Spanish period when the Spaniards reigned supremacy in the country and made the Filipinos slaves in their own land. Here is the full trailer of "Indio:"
Jennylyn Mercado is the leading lady of Bong in this TV series. This is actually their second teamup after their MMFF movie years ago.